In the custom home market, there exists the custom plumbing market. The new custom or semi-custom homeowner, as well as the homeowner that remodels, is typically involved in the finer points of finished home design, which usually includes the appropriately stylized plumbing fixtures. Manufacturers, such as Kohler, Moen, Grohe and Delta are in the business of rolling out their wares in catalogs, magazines and online to show how the effects of highly appointed faucets and fixtures can enhance the unique design of one’s newly acquired or remodeled home. It is in the fine line between home construction and home design that LeDuc & Dexter’s Residential Manager, Jim Kempers, feels the homeowner can benefit from professional plumbing expertise and guidance. “The general contractor (who built the home) will send the homeowners to us to get the fixtures they want. 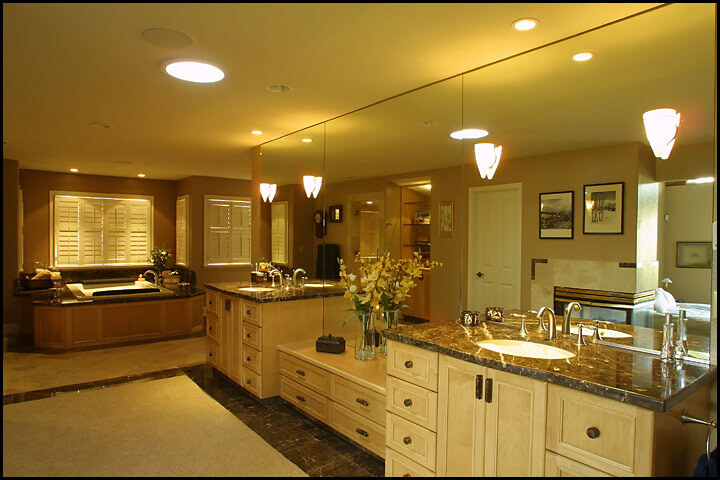 We sit down with them and go through every room in their house and every fixture.” This is a very personal and important part of the home for any homeowner. LeDuc & Dexter’s residential department always makes accommodations for these customers by providing an appointment time and the available product resources from the top manufactures in the industry. Sometimes when a homeowner is making a change, in a remodeling project for instance, LeDuc & Dexter can give advice that is invaluable. “A customer might be replacing tile with granite,” suggests Jim Kempers, “in that case we can help them with what fixtures will work and what fixtures won’t work. We carry them through and explain why.” This education leads to wise, as well as stylish choices, which can also save time and money. “We do a lot of hand holding when we work with our customers,” adds Jim Kempers. Perhaps it’s that personal contact that LeDuc & Dexter can provide, backed with industry expertise, that make it the most successful way to go.